Disney Augmented Reality Experience | MOUSE MARKETING INC.
Getting your adult audience to feel like a kid again is a tough feat – but Disney managed to do just that thanks to a clever Augmented Reality campaign. 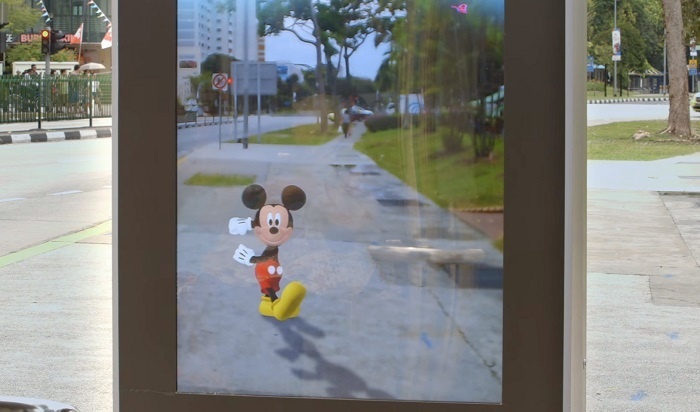 Disney Junior recently made dreams come true for some lucky children in Asia when it used augmented reality to turn an ordinary bus shelter into something many little ones have fantasized about. Beloved characters from Mickey Mouse Clubhouse, The Lion Guard, Sofia the First, and Miles from Tomorrowland, appeared on the screen as if they were standing right there on the street. Looking for a partner for your next event? With MOUSE MARKETING INC., what you get is a partner you can trust to deliver real results – a team of experts with the best service in the industry dedicated to helping you achieve your goals. A boutique agency with big ideas, big hearts, and big drive.